Project Handmade 2016 was held in the auditorium at the Folk Art Center in Asheville on September 22, 2016. 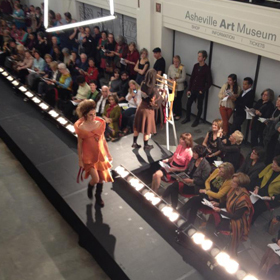 The show featured 42 garments made with locally sourced materials fashioned by local fiber artists. Techniques included spinning, knitting, weaving, felting, and of course design and sewing. Visit the photo album here.